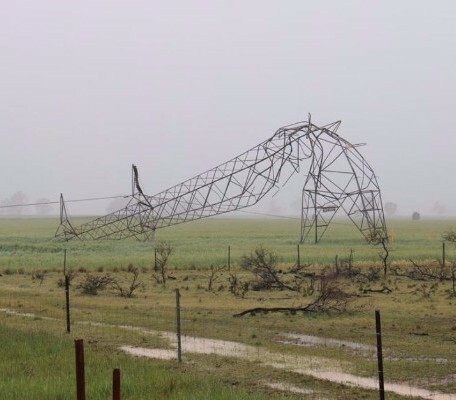 The recent storms on 28th of September caused a state-wide blackout across South Australia, as the AEMO was forced to disconnect the network to protect national grid infrastructure. With extreme weather events predicted to become more frequent in the future, distributed power networks with shared solar + storage could provide insurance against grid failures, power outages and natural disasters across the country. Even under conditions as extreme as South Australia experienced, communities with solar panels, batteries and a micro-grid would have a shared reserve of power capable of reducing or entirely ameliorating the effects of the outage. Brian Gillespie from Eden Valley proved the benefits of having backup battery power, and was able to maintain normality with his solar + storage combination. In the past, solar has been problematic to implement on strata buildings. There are complexities with who pays the cost and who reaps the benefits, and how to provide for individual apartment usage as well. With innovations in technology, strata buildings could soon reduce reliance on the grid with larger solar systems and battery storage. Although incentive schemes and solar feed in tariffs have resulted in rapid adoption of solar panels, there is an increasing movement amongst Australian communities to ditch the traditional ‘top-down’ electricity model all together. In its place, they are adopting a more distributed, collaborative and democratic energy model, that makes the most of solar benefits which include localised sharing, low infrastructure and transmission costs, and flexible design. It’s early days yet, but already several new developments such as YarraBend in Melbourne are including solar panels, battery storage and micro-grid networks as standard in their communities. These decentralised renewable energy sources, supported by battery storage, reduce reliance on grid-infrastructure. This provides a layer of isolation from grid price increases, saving money and generating returns for residents in the long run. The next exciting step for solar technology in strata buildings is emerging in Melbourne, with the Sol Invictus high-rise building proposed to have solar panels on its facade, and Tesla batteries servicing the apartments. As solar and battery storage technology continues to develop, it’s quite likely we could see solar ‘power-stations’ popping up everywhere, and even forming an integral part of building design. Read more about the White Gum Valley shared solar project, learn more about community renewable energy, or read how Matter are approaching solar sharing.